The Service Module of Dynamics CRM provides a strong customisable platform for Case Management and Service Ticketing - particularly when combining the powerful functionality for Activity Tracking through CRM and Outlook. However adding a front-facing Customer Portal provides the ability for the Customer to review their Case, the history of activities, and interact with the Agent online. Support a generic Support In-Queue that Agents can review to ensure new Case is allocated.Support a generic Support In-Queue that Agents can review to ensure new Case is allocated. Support a generic Support In-Queue that Agents can review to ensure new Case is allocated. Support Inbox - Say we maintain a typical support inbox for support@mybusiness.co.uk then this can be used as the initial point of contact. Our Support Agents can then share access to this Mailbox and then drag new incoming emails into their own personal Inbox as new requests come in. 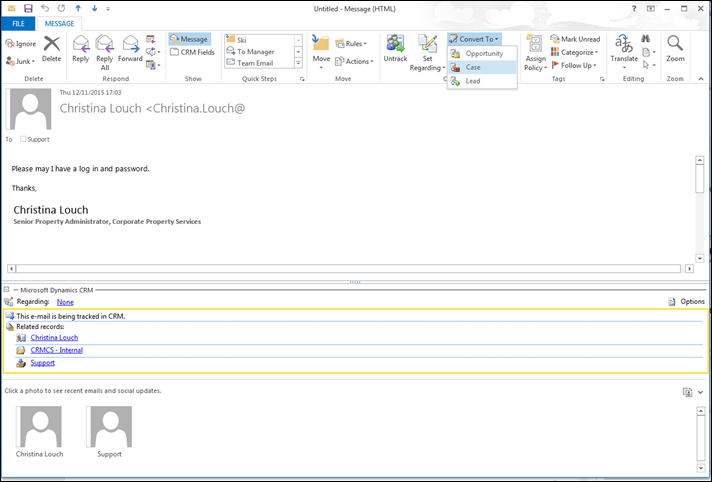 Once the Email is in our Inbox, we can use the Dynamics CRM Outlook Client to Track the Email in CRM and Convert into a new Case. This then records the new Case in CRM, and by doing so, triggers the Ticketing Workflows to start handling the Case. New Case Workflow in CRM - When the new ticket is logged as a Case in CRM, we may want this flagged to a particular Queue or Pot to wait to be assigned or picked up by one of our Support Agents. 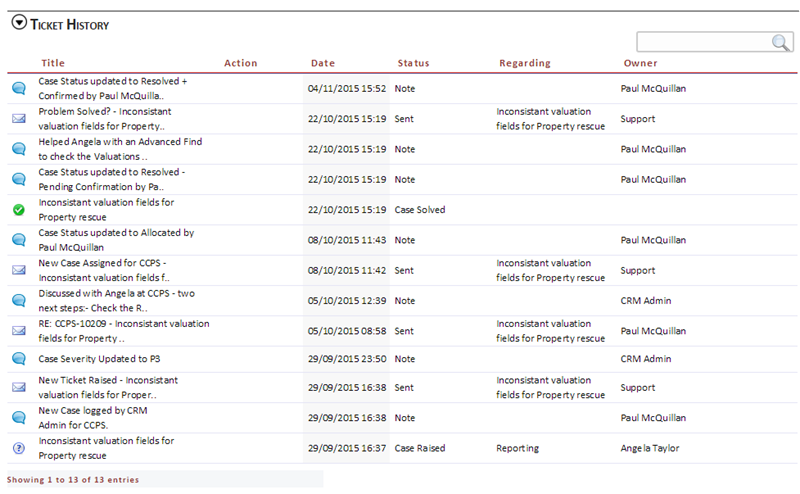 To do this, we can use our Workflow to automatically assign the new Case to a 'Pending Allocation' Queue in CRM. This allocation to a Queue allows our Support Agents to view any the Cases in the queue, and then pick up and route to themselves as way of starting work on that Case. This is where the CRM for Outlook plays a useful role in allowing us to easily track Incoming and Outgoing Emails to the Case as way of tracking the history of the Case. 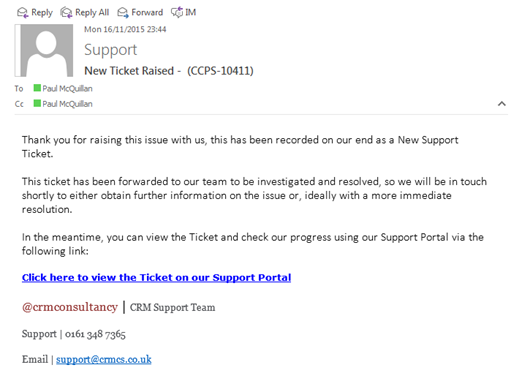 Closing the Ticket - Once the Support Agent has worked with the Customer and feels ready to close the issue, the Case can be flagged as Potentially Resolved in CRM. 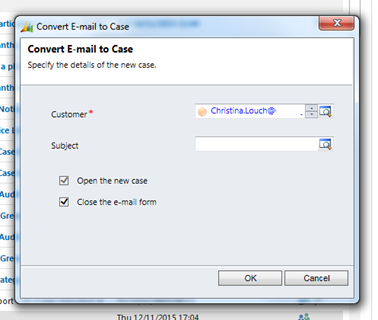 As with logging the New Case, this can then use CRM Workflow to Email back the Customer to inform that the Case is potentially resolved - with this email containing a link to the Portal as way of allowing the Customer to confirm that the Case is actually resolved. This then allows the Customer to add any final notes to their Case and review our performance in servicing the ticket. This combination of Standard CRM Functionality, Customisable Workflow and Portal Development allows us to elevate the Out-of-box Service Module to build a better Ticketing Solution without a large amount of bespoke development. This can then be further extended with additional Queues and Workflow to handle more complex Agent Routing between 2nd line and 3rd line Support between Specialists - or expanded Workflow to help implement SLAs and other enhanced ticket and case functionality.